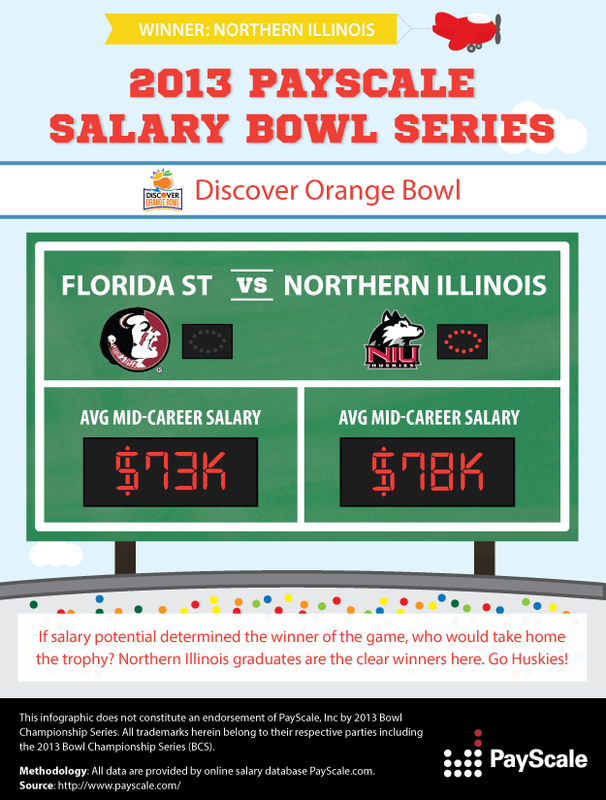 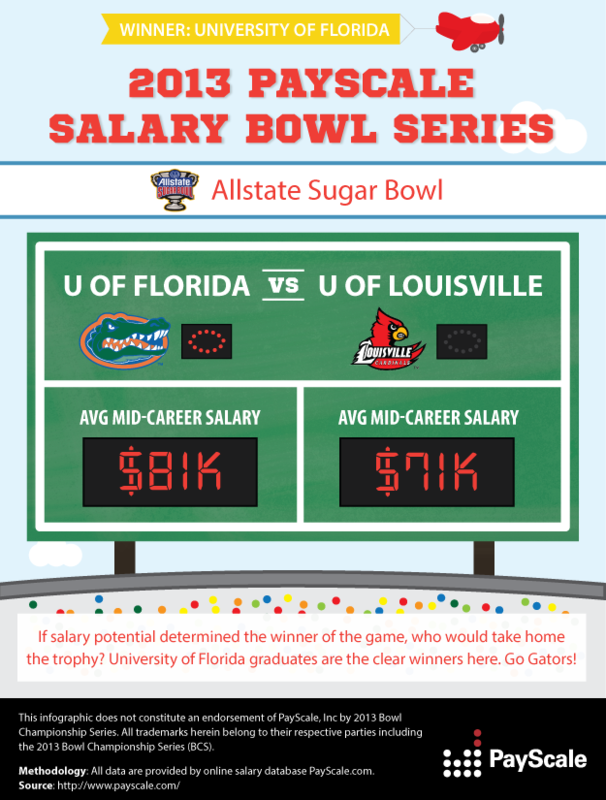 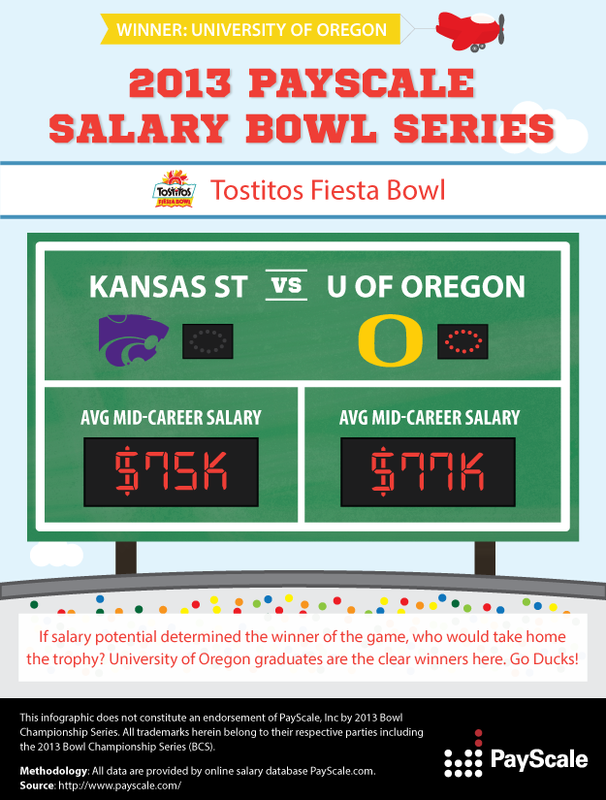 If alumni salaries predicted the outcome of these six college bowl games, who would take home the trophy? 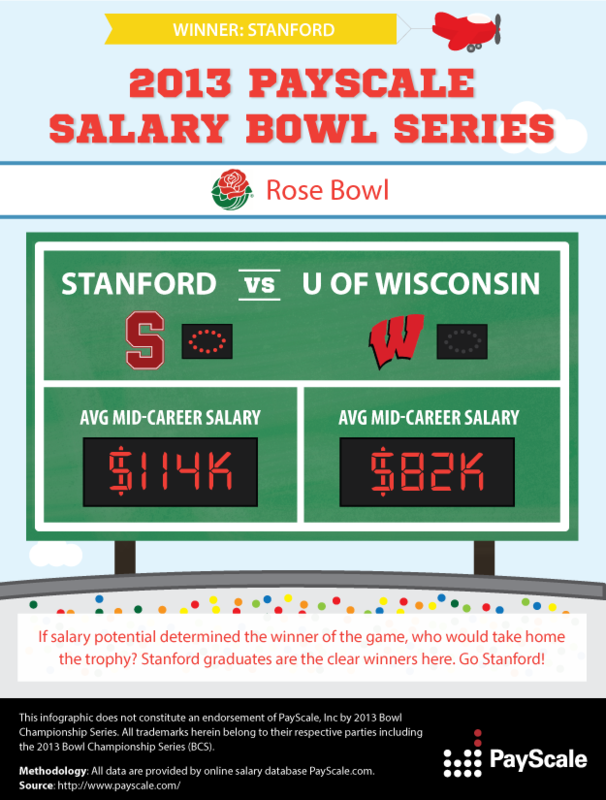 See which school wins when scoring is counted by alumni salaries rather than touchdowns. 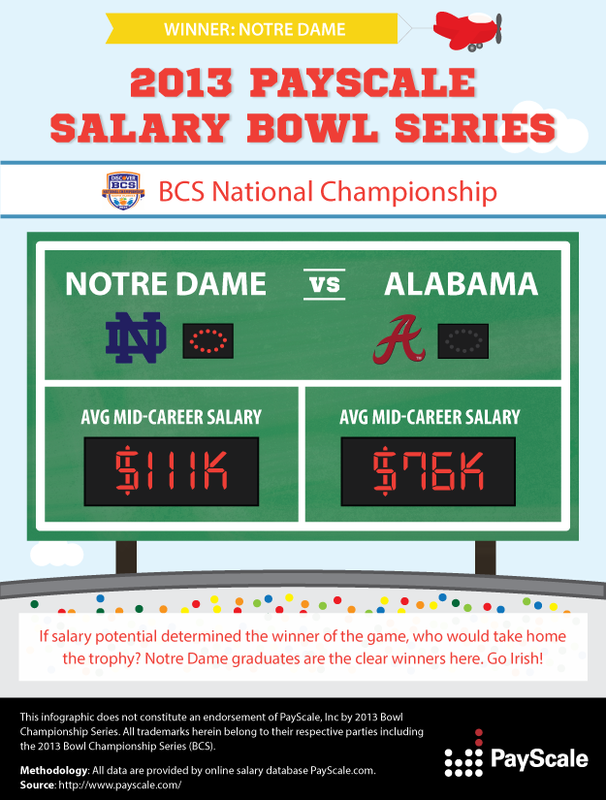 Who are you rooting for?